Gor Mahia’s quest to reach the top spot of the Sportpesa Premier League was tripped up on Wednesday when a determined Western Stima held them 1-1. Gor Mahia scored in the first half through Ernest Wendo. Western Stima replied in the 53rd minute. Gor Mahia missed the chance to go top of the SportPesa Premier League table after they were held to a 1-1 draw by Western Stima at the Kasarani Stadium on Wednesday. 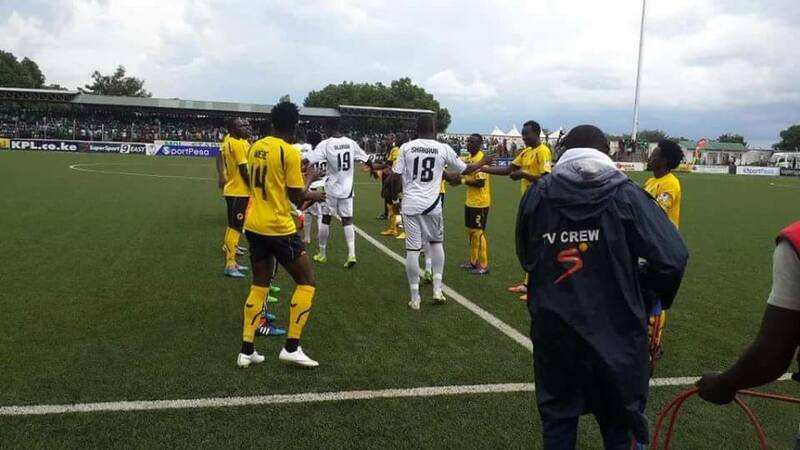 Eernest Wendo had fired the champions ahead in the 30th minute with a first time strike off a Dennis Oliech assist, but the visitors hit back in the second half with Vincent Odongo restoring parity at the hour mark with a long range shot. In between, Gor’s Nicholas Kipkirui, Olirch and Jacques Tuyisenge missed a host of chances and the visitors held on. K’Ogalo are now in second spot with26 points from 13 matches, two behind leaders Bandari. Gor coach Hassan Oktay was disappointed with the two dropped points. “It wasn’t our best game. The referee stopped the game for nine minutes and their goalkeeper was on the ground for eight minutes. ” We dropped two points We conceded a goal from 40 yards, we have a goalkeeping problem,” he said. After an early period of dominance by the hosts, Ernest Wendo stabbed home a Dennis Oliech’s pass to hand Oktay’s charges the lead in this game after 30 minutes. 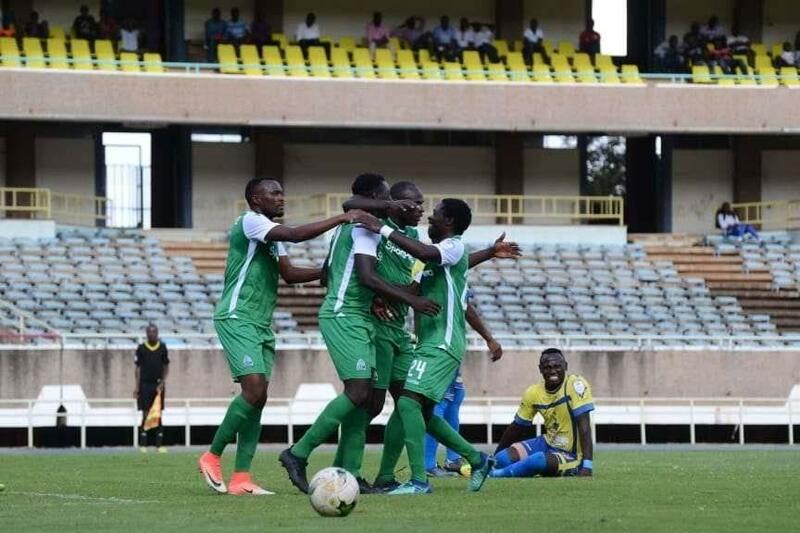 But when the Green Army – and their excited fans at the venue – seemed to be cruising, Stima rallied back and scored the goal of the game via Vincent Odongo.He rifled home a shot from 35-yards, easily beating an embarrassed Gor custodian Fredrick Onyango at his near post in the process. Onyango was standing in for the off-colour Boniface Oluoch.Jacques Tuyisenge, who seemed to be playing with some bit of discomfort, headed a Philemon Otieno cross over the opponent’s bar with only custodian Samwel Onyango to beat earlier on. Unlike in 2014 when Kogalo won the league and took their foot off the accelerator and ended up losing to KCB, this time Gor Mahia have continued pedal to the medal. On Wednesday they beat Western Stima 2-1. The goals came from Francis Kahata and Wellington Ochieng . The loss puts Western Stima further in peril of relegation. hey are in 1th position only two points ahead of Thika United. It was Stima who took the lead in the 17th minute from a Victor Omumbo penalty after Musa Mohamed was judged to have pushed a Stima player. In the 28th minute, Evans Kiwanuka should have doubled the lead. But with only Odhoji to beat, he skyed the ball over the bar. Kogalo equalized when Francis Kahata sent a high ball into the area. The Wester Stima keeper misjudged the ball expecting a cross , only to see the ball sail into the net. Kagere showed his poaching skills in the 35th minute when he intercepted a backpass but his effort hit the side netting. Three minutes later, Wellington Ochieng put Kogalo ahead when he deflected a well taken free-kick from Walusimbi into the net. Then in the 44th minute, Ochieng was at it again, this time his shot almost resulted in an own goal as Vitalis Akumu struggled to make a goalmouth clearance. The second half had far less action than the first. Jacque Tuyisenge who is chaing the golden boot had his best chance in the 58th minute when he met w Walusimbi cross but his effort went over the bar. In the 80th minute, Bernard Ondiek tested Odhoji forcing a good save from the latter. 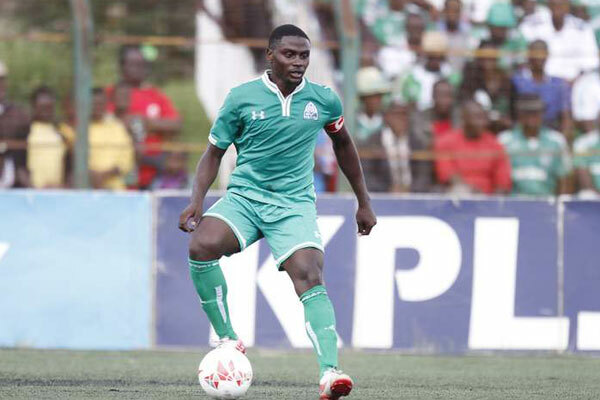 For Gor Mahia, this match presented opportunities for players like Shaban Odhoji who has seen little or no action all season and central defender Joash Onyango. It was also an opportunity for players who are chasing individual awards to further make their case. The game also serves the purpose of keeping the players sharp and motivated. Next up is Zoo Kericho on Sunday. The match is to be played in Kericho. 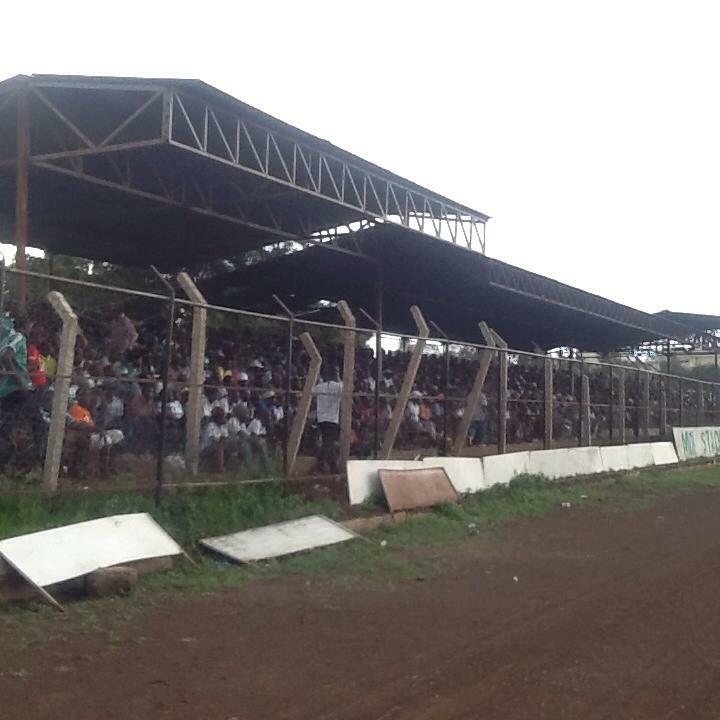 Given the tension n the country, KPL should consider scheduling the match at a different venue. Gor Mahia XI: Shaban Odhoji, Wellington Ochieng, Godfrey Walusimbi, Musa Mohamed, Joash Onyango, Ernest Wendo, George Odhiambo, Kenneth Muguna, Francis Kahata, Jacques Tuyisenge and Medie Kagere. Western Stima starting XI: Stephen Otieno, Junior Mukisa, Geoffrey Ochieng, Maurice Ojwang, Vincent Omumbo, Evans Kiwanuka, Bernard Ondiek, Vitalis Akumu,(Kevin Okoth) Brian Marita,(Fredrick Nyarombo) Ezekiel Otuoma(Mbumba Hamadi), Herbert Kopany. Gor Mahia lost their first match of the 2017 KPL season. After having taken a 16th minute lead, Gor Mahia conceded two second half goals. Jacques Tuyisenge had given K’Ogalo an early lead at the quarter hour mark from the spot to see his side go to the breather ahead. Western Stima returned a better side in the second half with Fredrick Shimonyo restoring parity for the host in the 67th minute before Kennedy Otieno sealed the win with nine minutes to stoppage time. The win saw Gor remain third on six points same as their rivals AFC Leopards who are second on a better goal difference and a match at hand. Western Stima on the other hand picked their first win of the season to sit 13th of three points but have a match at hand. Gor controlled the opening half with Burundian defender Karim Niizigiyimana coming close in the 33rd minute through a wonderful strike but the Western Stima coach was alert to parry the shot for a fruitless corner. After the break, attacking midfielder Francis Kahata had a chance to double the scores for the 15-time record Kenyan Premier League champions, but saw his attempt calmly collected by the keeper. K’Ogalo head coach Jose ‘Ze Maria’ withdrew Timothy Otieno for Meddie Kagere but the change could not take immediate effect as Western Stima drew level on the other end. George ‘Black Berry’ Odhiambo was brought in for Ernest Wendo as Ze Maria strengthened his forward, seeking to reclaim the lead. However, its Western Stima who went ahead in the 81st minute through Kennedy Otieno, a lead that they held for the victory. Gor Mahia will carry their two match unbeaten record that has left them at the top of the standings to Kisumu this weekend. There they will take on Western Stima on Sunday. The Powermen are smarting after they lost their opening league match 3-1 to Sofapaka. But coach Ray Omino has vowed to correct all the mistakes prior to their match against Gor Mahia. “Of course we were disappointed by the outcome of the match on Sunday. But we made many mistakes and conceded many free kicks and Sofapaka capitalised on that. We have been working on the errors that we made and hopefully on Sunday, we will see a very different side,” Omino said to the Star. Omino attributed the loss last weekend to lack of match fitness but he vowed that this time things will be different. One Gor Mahia player who will be working to gain match fitness is skipper Musa Mohamed who was injured in the Harambee stars match with Uganda. But the defender is eager to work his way back to fitness and possibly be in the starting line up. Musa has been a reliable soldier for Gor Mahia and Harambee stars for several years now, appearing in almost every club game. For this reason, coach Ze Maria may choose to give him additional rest as a precaution. “I think the spirit of the players this season is very high and we have a lot of options in terms of players. This is what will distinguish us from the rest of the teams and I believe we will be consistent,” Mohammed said. Fans will be hoping that the high spirits that Mohamed speaks of have not been dented due to late payment of salaries. Gor Mahia hope to continue their climb up the KPL table when they play Western Stima at Moi stadium Kisumu on Sunday. 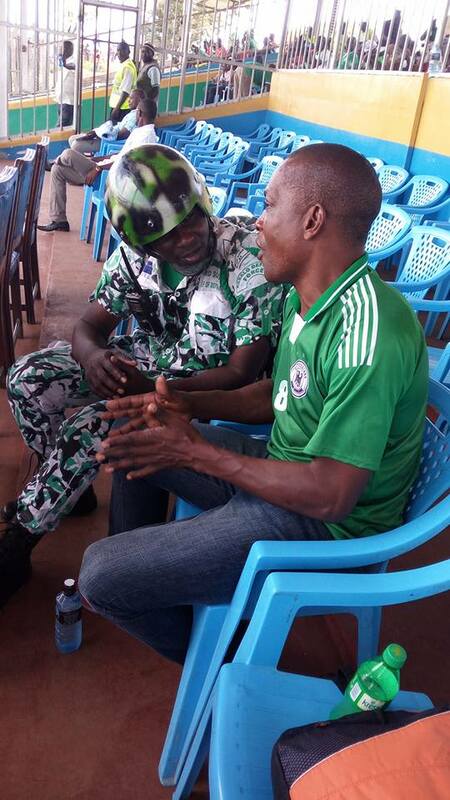 The Lakeside venue is proving to be a good hunting ground for Kogalo. Last weekend, Gor Mahia played the best football they have played this season. Fans finally got to see the “Samba Touch” that tactician Ze Maria has been installing. The Power men could prove to be tough nut to crack. They are currently in 7th place with 18 points, only two behind Gor Mahia. And exactly one year ago, these two teams met at the same venue. That match ended in a 0-0 draw. Gor Mahia won the second leg match 1-0. Stima’s last match was on May 9 and ended in a 2-2 draw with Mathare. Stima were disappointed at giving up a two goal lead but coach Henry Omino is determined to make amends on Sunday. Gor Mahia for their part warmed up for their weekend match by beating Jericho All Stars 2-0 at Camp Toyoyo. The goals were scored by Khalid Aucho and Innocent Wafula. 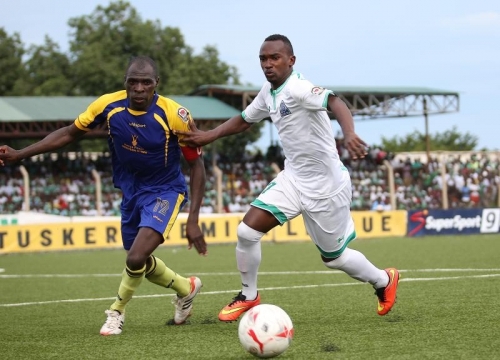 Gor Mahia were held 1-1 by Western Stima in a friendly match played on Sunday in Kisumu. Enock Agwanda scored the match opener in the third minute. Western Stima equalized in injury time of the second half. Agwanda is proving a reliable scorer. He converted one of the penalties against St George, scored against Al Hilal and has scored again. It will be difficult to dislodge him from the starting line-up this season. It is Gor Mahia’s last build up match before they travel to Uganda on Tuesday to play Uganda giants Sports club Villa. Other reports suggest that Gor Mahia hae signed KCB goalkeeper Sammy Okinda. He now joins a goalkeeping cores that has Boniface Oluoch, Jerim Onyango and Gradus Ochieng.